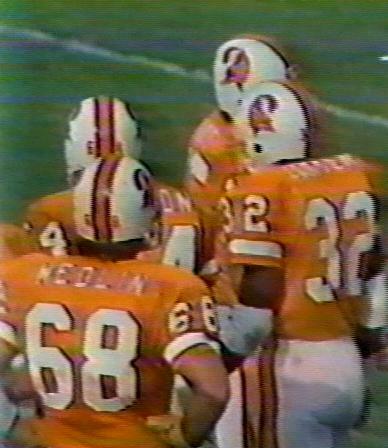 The Bucs have not exactly been blessed with a lot of great offensive linemen over the years and this is showing in our progression through the best-ever at each number in the 60s range. I mean, how many of you had even heard of many of the names on the list of the 68s here? 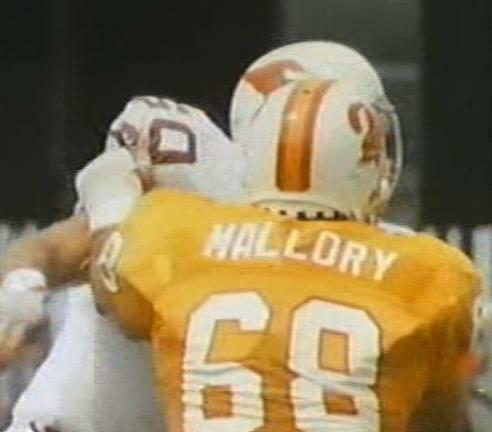 We were going to give Rick Mallory the dubious honour of being the best-ever in this limited field for being the one who was on the field most often and also for that he chose to walk away from pro football after the 1988 season to go into business. 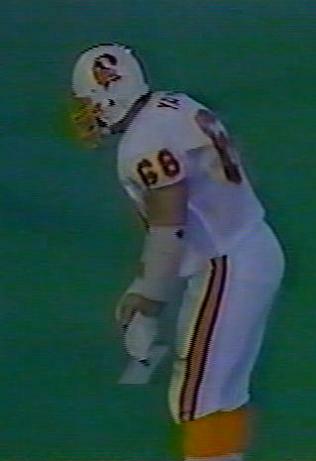 But then you have to consider George Yarno also wore the 66 and 69 jerseys when he was Buccaneer but it was in the No.68 jersey that he famously kicked an extra point in the 1983 season finale against Detroit. The only offensive lineman in the modern era to make a PAT. His profile has the video clip of the play. 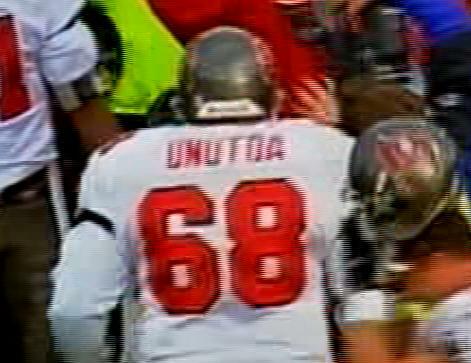 Morris Unutoa was a long-snapper who was on his second tour of duty until he sent down three dodgy snaps in one game against the Browns in 2002 and was sent on his way the following day by Jon Gruden. None of the more recent occupants have done a lot to talk about in terms of a career in Tampa and Keydrick Vincent went from being a starter to being cut in a day after the coaching staff realised how bad a blocker he really was. 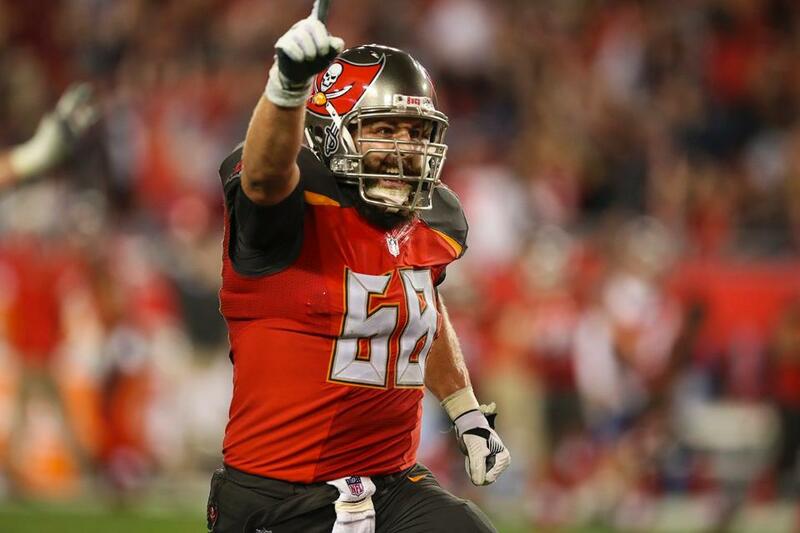 Joe Hawley is the most recent player to take over the 68 jersey and started most of the 2015 season at center having arrived as a free agent via Atlanta. He retired after the 2017 season.